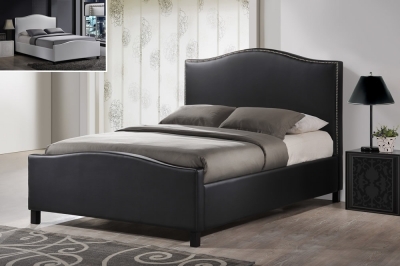 The Time Living Tuxford faux leather bed frame is available in a black finish and standard UK small double size. 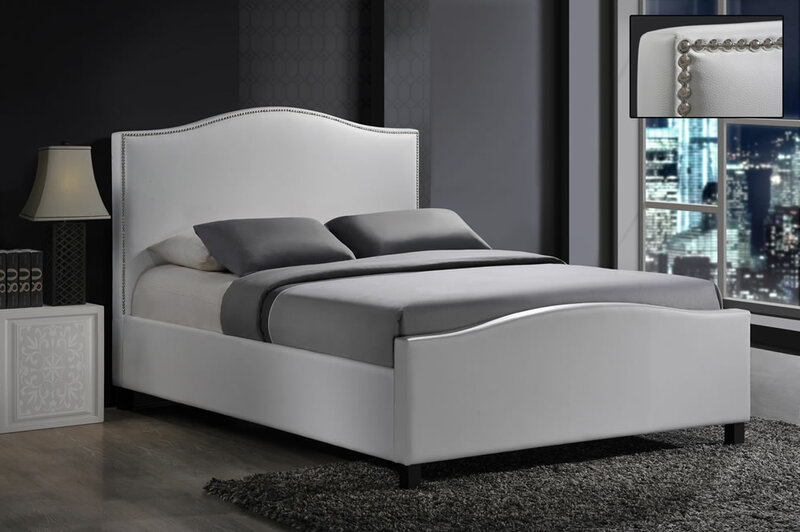 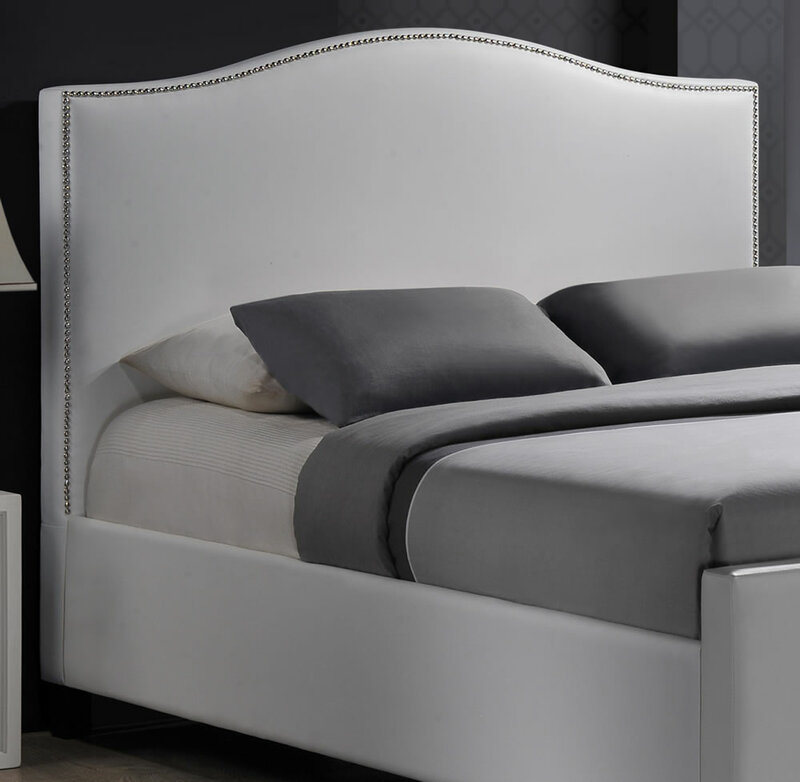 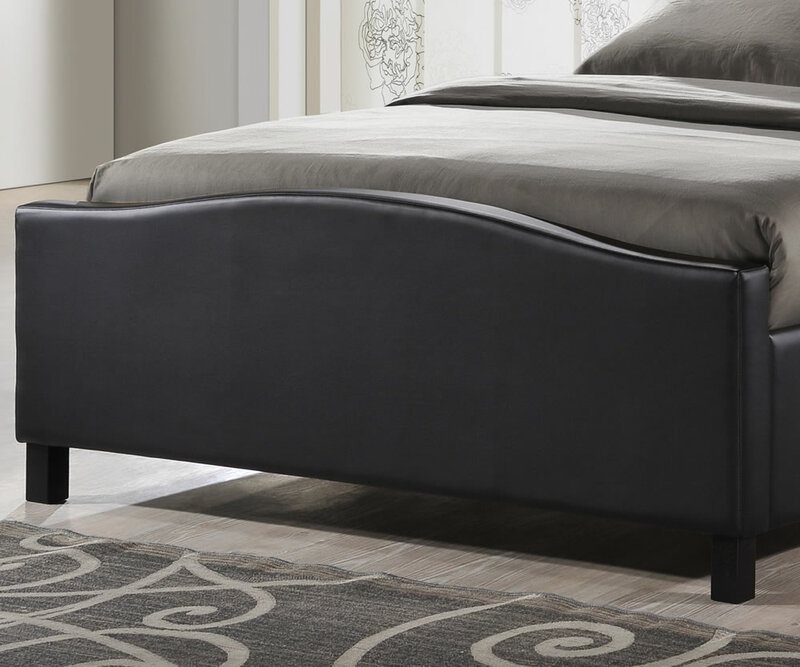 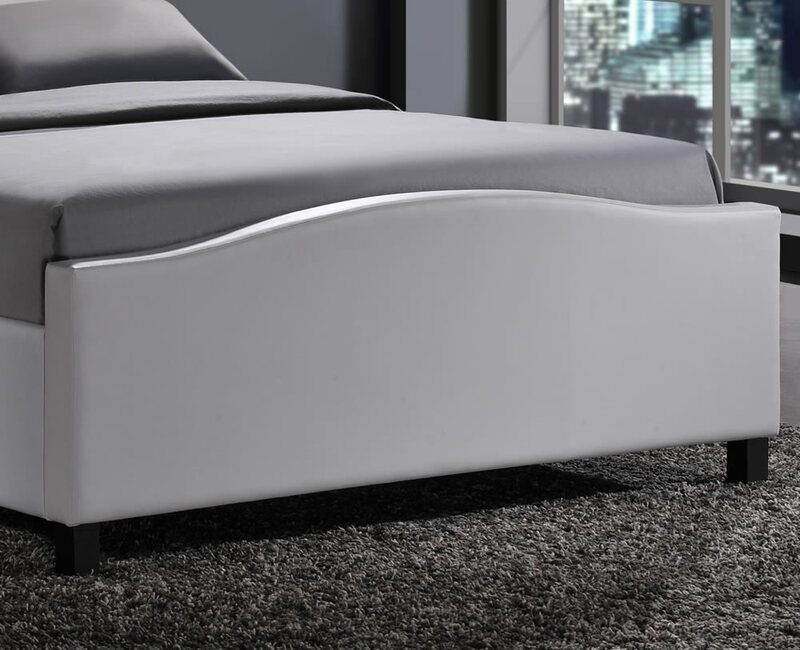 A contemporary design bed frame offering a solid curved headboard with chrome stud detailing and a curved low foot end. 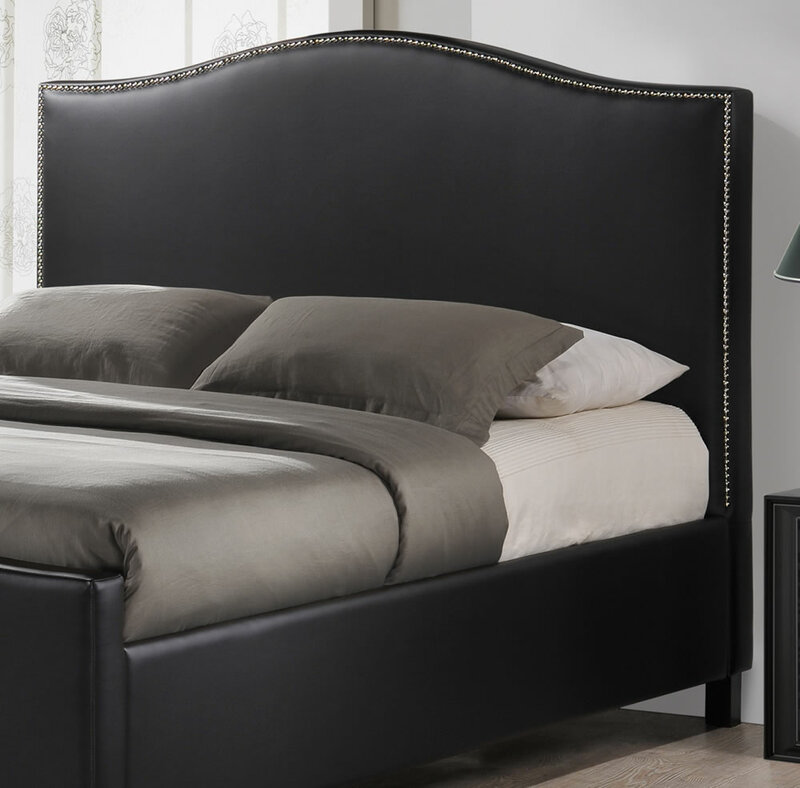 For added comfort and durability the Tuxford offers a sturdy internal frame and sprung slatted mattress base.